We are a proud supplier and installer of premium double glazing to homeowners throughout Edinburgh and the surrounding areas. 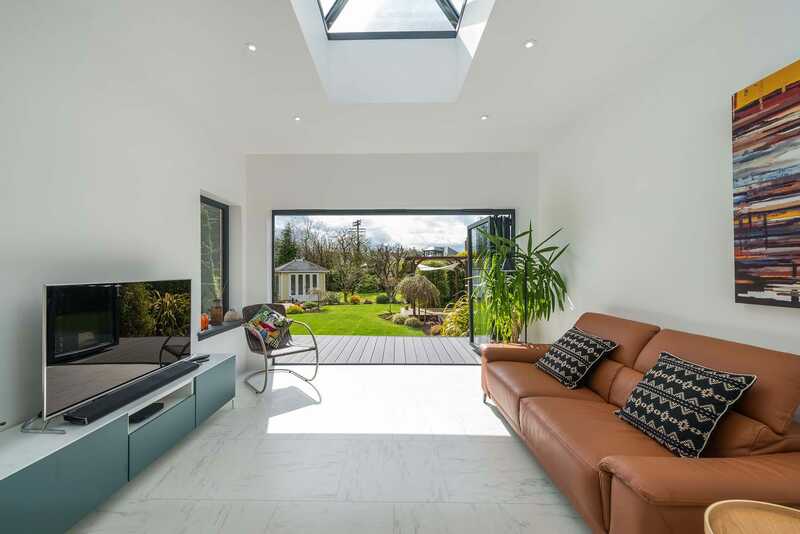 We utilise the best uPVC and aluminium materials along with award-winning profiles in order to craft the bespoke product that is right for your home. All our double glazing is affordably priced, so contact our teams today to find out more. We have an enormous selection of double glazing products on offer at incredibly low prices. No matter what you’re shopping for, SRJ will have the product for you. Looking for some new windows? You can never go wrong with the classic casement style. A small change to the opening mechanism can result in gorgeous sliding sash windows. They can even be tailored to fit into a roof space rather than on a wall as standard. These are just three of the incredible styles we have on offer. If you’re looking for a new entrance on the other hand, then our range of doors is what you need. We have the smartest composites available, well-suited for those that want a classy feel. On the other hand, bi-fold doors make for a glamorous addition to any home. You may even want to check out our conservatories, which can brighten up any home with slim sight-lines and incredible views. Every one of our double glazing products has been specifically designed and manufactured to be as secure as physically possible. We want you to feel safe within your home, which is why we offer several security options as well as products crafted with the latest manufacturing techniques. The innate structural strengths of uPVC and aluminium are a great starting point. We build upon the natural durability of our double glazing with high security locking mechanisms, consisting of complex locking mechanics and powerful hinges. We also provide upgrades that meets Secured by Design standards on many of our products and are proud to offer the near impenetrable Rockdoor range. This profile is one of the most secure frameworks on the market. There are many other reasons to upgrade to modern double glazing. Unlike older windows and doors, modern home improvements are renowned for their ability to retain heat naturally within any property type. When properly fitted, the vacuum-sealed nature of double glazing traps heat behind efficient thermal barriers, which warms your home naturally. This heat-trapping capability is backed up by the anti-draught mechanics we put into place during the manufacturing process. By retaining heat and reducing draughts, your home will start to warm up without the need for central heating. This has the ultimate benefit of reducing your reliance on central heating, which in turn lowers your energy bills and carbon footprint. We have been working with the people of Edinburgh for over 25 years to bring them the finest double glazing this side of Scotland. We utilise a state of the art manufacturing process so that we can reduce our carbon footprint. We care about the environment here at SRJ Windows, and that’s why we’ve taken a number of precautions in our installations. We make sure to recycle 100% of all our paper and cardboard waste, along with 90% of our old windows. Similarly, we follow a unique fuelling strategy, which saves us up to 15,000 travel miles per year. We are also SEPA accredited for the removal of waste from construction sites. All of this culminates in our drastically lowered carbon footprint, benefiting you, us and the environment. If you think that SRJ Windows sound like the double glazing expert for you, then reach out to our specialists today. Call us up on 01383 851 951 or fill out our online contact form now, and we’ll respond to your query as quickly as possible. Our talented team of experts will be more than happy to answer any questions you may have. 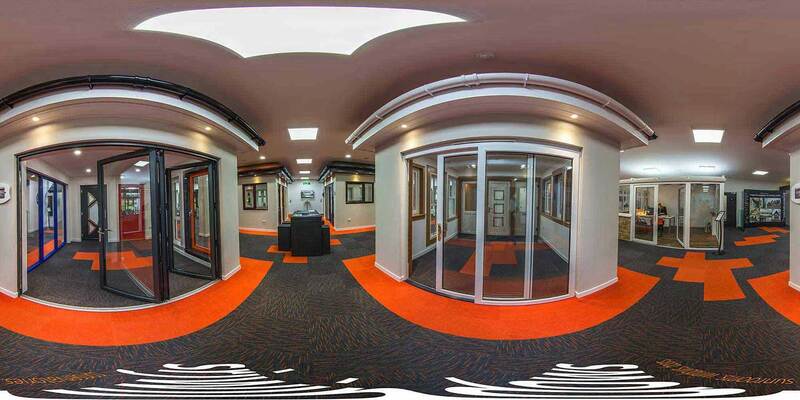 We also highly recommend checking out the SRJ showroom here at our offices in Fife. We have a huge range of double glazing products on display, including, our windows, doors conservatories and more. 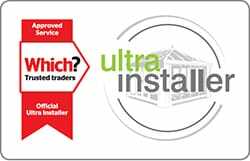 Choose SRJ for your home improvement project today and benefit from premium quality double glazing at incredibly low prices.